Be the first to hear about their new releases and deals. 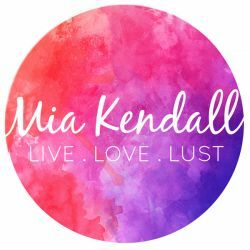 Download the Booksprout app and search for Mia Kendall today! After ghost-writing erotica and romances in the dark for years, I've recently decided to take the plunge and strike out on my own as an author. My work is inspired by my personal experiences in love, heart-break and life, and every single one of them will feature a Happily Ever After. Where else can you create a perfect world with alpha hunks who treat their women right, if not in your fantasies? I hope you'll enjoy my books as much as I love writing them. I can't wait to get started on this new journey.